If you are arrested, say nothing but "I WANT A LAWYER"
Law Office of Michael W. Moran, P.C. Contact Mike Moran if you have been charged with a crime in Colorado Springs. We will closely examine the police report detailing the alleged crime to evaluate the strength of evidence against you. Our investigators will uncover any police procedural errors that occurred during your arrest, and thoroughly investigate all evidence and witnesses that will be introduced against you in your case. A proven and effective defense strategy will be formulated and aggressively executed by the renowned criminal defense lawyer Mike Moran to provide the best possible outcome against the charges that you face. Each step in your criminal defense case will be clearly explained in simple, no-nonsense terms. Criminal DUI cases are brought before the court faster than in other states. Your freedom and driving privileges are immediately at stake if you do not seek expert legal help. You must retain a highly experienced local dui lawyer to represent you in traffic court. Michael Moran is a recognized Colorado Springs authority on successfully defending clients against Driving Under The Influence (DUI), Driving While Ability Impaired (DWAI), or Driving Under Influence Of Drugs (DUID) charges. Your DUI charge outcome hinges on attention to detail and knowledge of investigative procedures and Colorado criminal law. 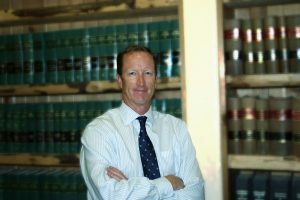 Mike's knowledge and experience as a leading Colorado Springs DUI Attorney has produced many courtroom victories against DUI charges throughout the state. Contact our office if police arrest you for driving under the influence in the greater Colorado Springs area. The path from arrest to conviction is a grueling process paved with fear, uncertainty and doubt. Avoiding a criminal conviction depends on selecting the right attorney who will fight relentlessly to protect your constitutional rights. We will provide the best options to keep your family, reputation, and career intact. When you are charged with a crime in Colorado, literally the only thing standing between you and a permanent criminal record is your defense attorney. You must have an attorney on your side to protect your legal rights against a legal system with unlimited resources and manpower. A lawyer who will fight on your behalf for the best possible resolution to your case. Avoid financial punishment and the possibility of jail or prison time by having your charges defended by recognized legal expert. Our law office will apply the full measure of our extensive legal training, experience, and expertise to each case. We will conduct a complete investigation of your criminal charges, and our top priority will always be to secure dismissal of all charges against you. Attorney Michael Moran has won thousands of cases in more than two decades of law practice, and our outstanding legal team is trained to defend clients facing criminal charges in the Colorado Springs area. Facing a criminal arrest alone is an incredibly stressful experience. This is the time when you must have the most experienced and competent defense attorney that you can find. A lawyer that will punch holes into police reports, evidence collection, and witness statements. You deserve an attorney on your side to protect your legal rights against a legal system with unlimited resources and manpower. A lawyer who will fight on your behalf for the best possible resolution to your case to avoid financial punishment and jail or prison time. Michael W. Moran will utilize his outstanding defense law expertise to fight for the very best outcome to every case he takes. He will conduct a complete investigation and seek dismissal of all charges against you. Our legal team is fully trained to expertly defend people who are facing any criminal charge in the Colorado Springs area. We have represented thousands of clients who are charged with criminal offenses in the greater Colorado Springs area. We know the stress a person is under when facing arrest or under investigation. Your freedom, family &amp; future are at stake. You will get an accurate assessment of your criminal charges, potential defenses, and cost estimates. Your chances of obtaining a favorable case outcome increase having an attorney who commands respect from the prosecutor’s office. Michael Moran is a DUI criminal defense lawyer with the experience and jury trial success record in Colorado Springs to prevail in even the toughest cases. We will guide you through these difficult moments in your life. A criminal record can continue to have negative effects after the case ends. Avoid a felony or misdemeanor conviction in Colorado by obtaining the best legal advice on the Front Range today. We offer free consultations and case evaluations. Contact us as soon if an arrest appears likely. We will explain you legal options and answer any questions that you may have. Attorney Moran will treat your case as his own. And fight on your behalf to ensure the most positive possible outcome to your legal situation. Call our office today to get the expert help you need: (719) 447-1923.